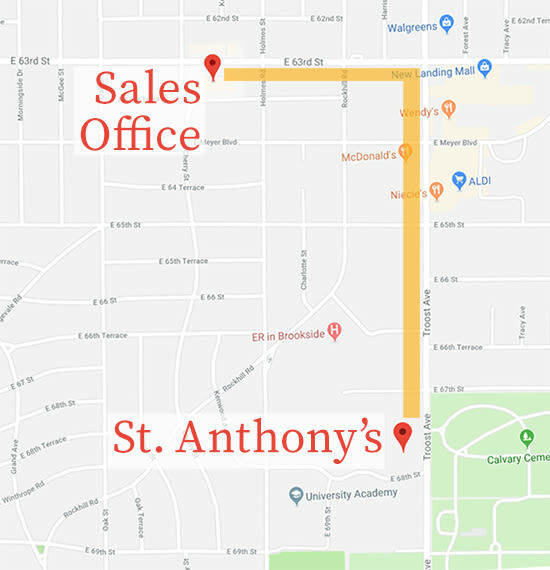 You can learn more about St. Anthony's by visiting our sales office - a short distance from the site where the actual community is being built. 601 E 63rd St, Suite 447, Kansas City, MO 64110. You can find out more by calling our team at 816-866-3564. You can get directions to St. Anthony's Retirement Community's building - opening spring 2019 - by using the handy tool below.